The St. Louis County Library has added another streaming media service for all it’s patrons. Yeah!!!! 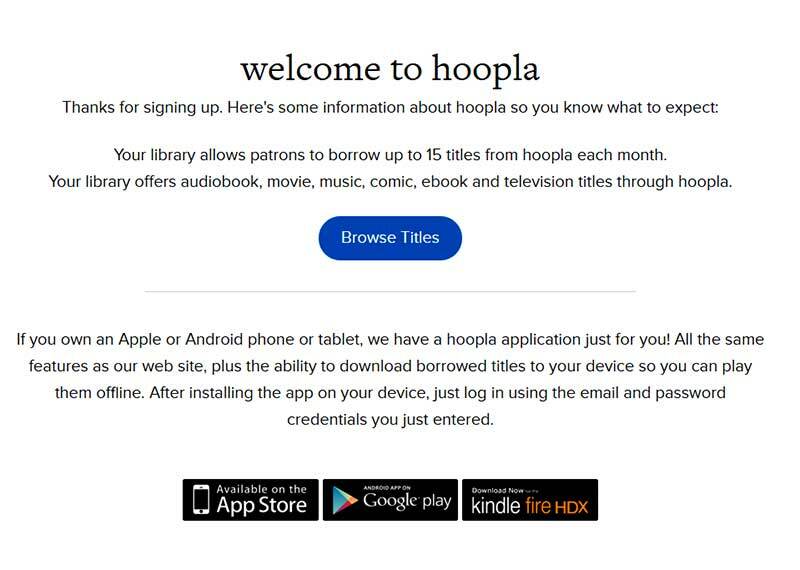 All you have to do is go to Hoopladigital.com and Signup. You choose the St.Louis County Library and setup your account. It has ebooks, movies, comic books, audiobooks, and television (older shows). I’m listening to music as I write this, so that’s a nice feature. To return any emedia, you have to look for a return near the bottom of the page. While I’m using this program in St. Louis, Missouri, it is also available in other cities and states. The library allows you to borrow 15 titles each month. On the first of each month, those borrows renew. They’ll be automatically returned when your lending period is over. Note also that there are apps for this program which seem to work well with my Android phone. You can download books to your e-device. Posted on November 20, 2015, in Books, Free, Misc, St. Louis, Videos. Bookmark the permalink. Leave a comment.